Prior to my journey of natural herbal medicine I used to take aspirin and paracetamol when I experienced pain which most people do at one point or another. It was only through learning about health from the view point of the whole that I realsied that taking pain killers are not at positive as we were led to believe. Imagine if there was a fire in a house, you need to put the fire out to stop the damage to the house. Now imagine that the house is your body and the fire is the cause of the pain – taking painkillers is a bit like opening a window to let out the smoke. The problem is still there and just because one of the symptoms of the issue is masked/reduced doesn’t mean that the problem is solved, it is in fact getting worse. If you are taking pain killers which are prescribed from the doctor please do not stop them straight away, several pharmaceutical medications require a gradual withdrawal otherwise severe side effects can occur – please speak to your GP if you would like to stop taking your pain killing medication. Pain is our body’s way of signalling to us that there is something wrong. Pain has a purpose – it is classed in medicine as either acute or chronic. Acute pain warns us that there is something wrong quickly in a very direct manner our body is telling us that there is something wrong and we need to do something about it. Medically chronic pain has been deemed “pain without a purpose” I disagree with this phrase as our body is still signalling that there is something wrong but our body doesn’t have the right nutrition and environment to restore itself. Although up to 60% of modern medicine are plant based or synthesised from herbs the isolation and extraction of specific compounds removes the natural balancing effect of the whole plant. A pharmaceutical drug usually contains one active ingredient where the whole herb can contain hundreds!! I also feel that our body reacts if we ingest food or medicine which isn’t natural. When we take modern pharmaceuticals we only absorb up to 50% of the drug, this is because our body is effective at protecting us against possible threats, as pharmaceuticals are synthetic the body tried to expell as much of the drug as possible and we eliminate most of the drug untouched where it can then affect our environment and ecosystem. (Just think how many women are on the contraceptive pill and eliminating their daily dose into the water supply – now think about the reduced fertility of animals and even us). Aspirin was synthesised from herbal medicines, I have meadowsweet and white willow in my dispensary, both are high in an active ingredient called salacylic acid which is a natural pain reliever. Aspirin is a synthesised version of this active ingredient called acetyl-salacylic acid. I would rather take meadowsweet and willow that swallow two aspirin as possible side effects of the drug include high incidences of digestive irritation with blood loss as well as spasms of the lungs and skin reactions to the drug! 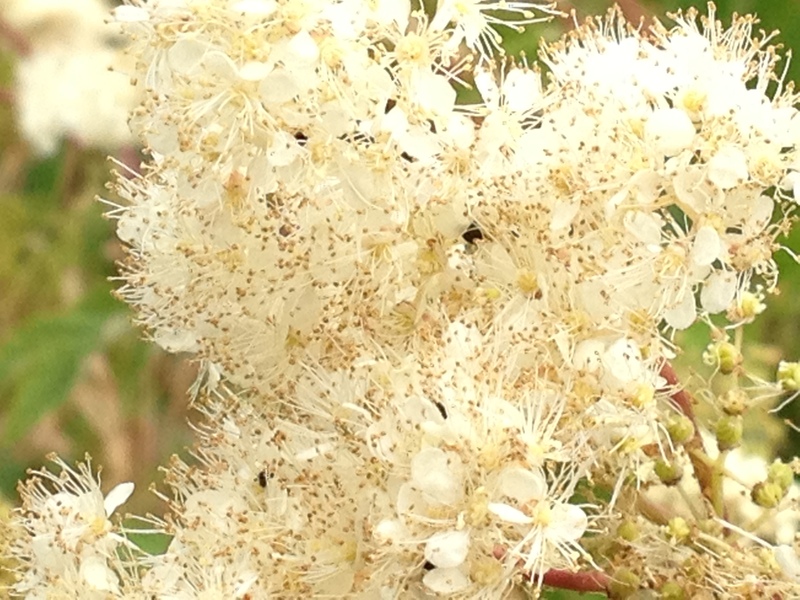 There are no confirmed side effects of taking meadowsweet or willow although certain people can be senstive to the salicylates – so if you are sensitive to aspirin you will probably be sensitive them too. “Herbal medicine is effective for aches and pains due to headaches, migraines, depression, eyestrain, earache, tinnitus, sinusitis, toothache and sore gums, mouth ulcers, sore throat, neckache, coughs, colds and flu, bronchitis, asthma, pleurisy, pneumonia, tuberculosis, angina, circulation problems, stomach ache, indigestion, heartburn, nausea, ulcers, gallstones, constipation, diarrhoea, irritable bowel syndrome (IBS), haemorroids, urinary tract infections, cycstitis, kidney stones, fibromyalgia, bursitis, gout, arthritis, ankylosing spondylitis, heat rash, boils, blisters, tinea, ringwrom, ezcema, dermatitis, psoriasis, prostatitis, herpes, prolapse, premenstrual syndrome (PMS), painful periods, vaginitis and cancer.”Herbalists have a variety of ways to get to the root cause of the pain whilst also providing symptomatic releive including: analygesics, nervines, anti-depressants, circulatory stimulants, demulcents, mucilages, anti-inflammatories, anti-spasmodics, soothers, cleansers, balancers, settlers and many more. This entry was posted in Complementary and Alternative Medicine, Health and Wellbeing, Herbal Medicine, Herbalism and tagged cleethorpes, grimsby, health, herbalist, natural, pain relief, wellbeing by Herbs for Health and Wellbeing. Bookmark the permalink.